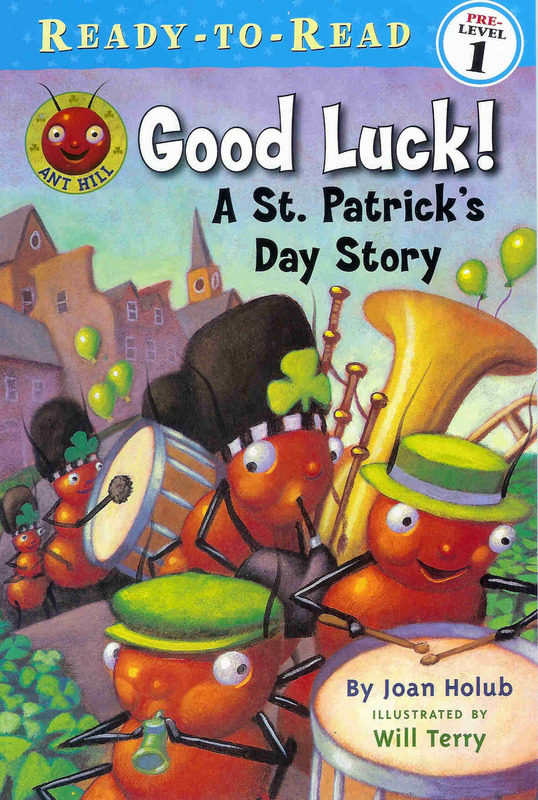 It is St. Patrick’s Day and the ants from Ant Hill are participating in a St. Patrick’s Day parade. Many of them are wearing green but Grant has taken his dressing up to a whole new level – his entire body is green. On the spur of the moment the ants decide to play catch and Grant is the one who needs to be caught. So off Grant runs with the other ants in hot pursuit. It turns out the Grant can be a pretty wily fellow and the other ants cannot find him anywhere, but they can follow the clues that he leaves. Which one of the ants will get some St. Patrick’s Day luck when he finds Grant? Full of St. Patrick’s day symbols and fun, this beginner reader book has a simple rhyming text in which sounds and recurring words such as “luck” and “clue” are explored. This is one of the books in the “Ready-To-Read” series.